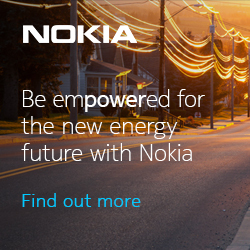 Nokia, ABB and Kalmar, part of Cargotec, announced they successfully conducted industrial trials that leverage the low latency capabilities of 5G to support time-critical applications and enhance protection and efficiency in smart electricity grid and harbor automation. The trials, conducted as part of the Wireless for Verticals (WIVE) research project, represent one of the first real-world applications of time-critical 5G applications on electricity grid and harbor automation. The WIVE project is co-funded by Business Finland and involves several industry research units and academic partners such as Nokia, Teleste, Telia, ABB, Kalmar, the Finnish Broadcasting Company (YLE), Digital, regulator FICORA, key Finnish universities as well as VTT Technical Research Centre of Finland.